About Us – AK Martial Arts & Fitness, Inc.
AK Martial Arts & Fitness is a local, family owned business that provides fitness, sport and martial arts training for all ages and capabilities. We provide personalized fitness routines that include traditional martial arts, speed, agility and quickness training. 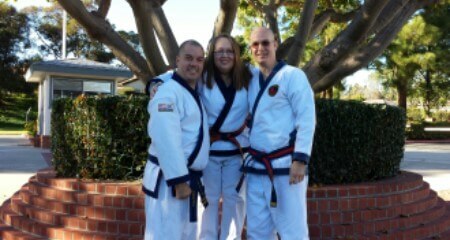 We offer many years of experience and accredited instruction in the Korean martial art of Tang Soo Do. Stop by our do jang to learn more about us and our programs. We are proud that our do jang is accredited and instructors certified with the international Traditional Tang Soo Do Federation (TTF). The TTF is headquartered in Wales, U.K and led by Founder and Chief Instructor, Master John Trudgill. 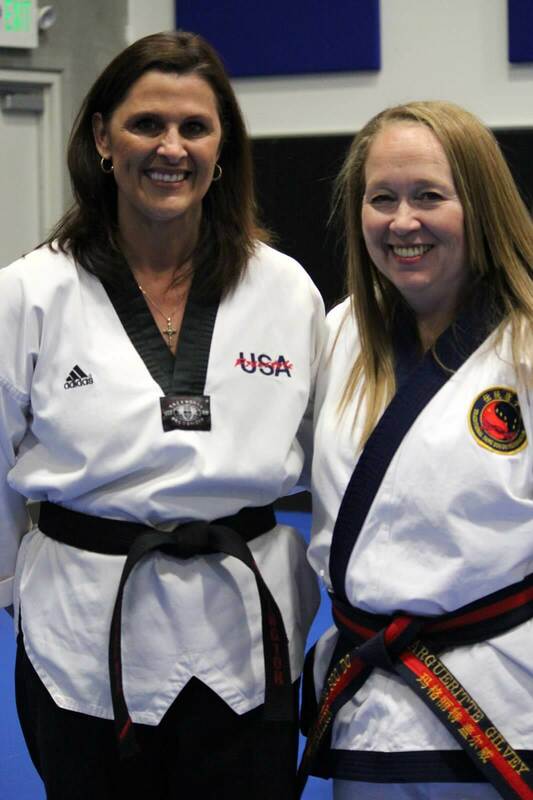 Kwan Jang Nim Trudgill and the TTF is recognized world-wide for demonstrated excellence in Tang Soo Do, premier tournament training and outstanding curriculum. All of our Instructors must meet stringent requirements and re-certify twice a year in front of an offical TTF/UTC Testing Board. Master John Trudgill, Founder and Chief Instructor of the Traditional Tang Soo Do Federation, Masters, Kyo Sas and Black Belts, Wales, U.K.
Sa Bom Nim Gilvey and Sa Bom Nim Estes are also Board Members of the Martial Arts Professional Schools of San Diego (MAPS). MAPS has 10 locations in San Diego and it is dedicated to providing quality martial arts training and effective community service to San Diegans and non-profit organizations. AK Martial Arts & Fitness is also affiliated with Tracie Arlington and PlayItSafe, a San Diego based organization that is dedicated in teaching practical self-defense techniques to women, teens and children in the San Diego area. We require that all of our employees have active certification with the American Red Cross in CPR for Adults, Children and Infants, First Aid and AED (Automated External Defibrillator) and our facilities are equipped to handle first aid needs. AK Martial Arts & Fitness is known as a local community leader, donating our facilities, time, money and effort to support local public schools and charities in need. If you are interested in having us donate time, materials or events, please contact us at 760-828-7165. AK Martial Arts & Fitness works with local businesses, public servants and military to provide discounted access to our training facilities via our Corporate Partner Program. Qualcomm and IT4Everyone are just two of the local businesses that take part in this program. If you are a local business that would like to find out more about what we can offer you and your employees, please contact us at 760-828-7165. And don’t forget to grab our Spring Deal by clicking here!